The polish-born writer, Isaac Bashevis Singer was born in the village of Leoncin near Warsaw on November 21st 1902. He grew up in a very impoverished area of Warsaw where his father was a rabbi. Singer at first thought he too would be a rabbi and tried to earn a living by teaching Hebrew but his brother persuaded him to become a proofreader for the Jewish Literarische Bleter (Singer's brother was its editor). In 1935, four years before the German invasion, Singer left Poland and emigrated to the USA. He settled in New York where he worked as a journalist and column writer for the Yiddish language newspaper The Jewish Daily Forward. When he left Poland Singer had separated from his first (common law) wife, Runia Pontsch and their son Israel Zamir, they had also left Poland and had gone first to Moscow and then on to Palestine. The three did not meet again until 1955. For some time Singer felt 'Lost in America' (the title of his 1974 novel). In 1938 he met Alma Wassermann who was a German Jewish refugee from Munich. The two of them married in 1940 and this seemed to be the catalyst for Singer's subsequent and prolific writing career. Singer always wrote in Yiddish. He had a persistent belief in the power of his native language and believed that there would be a ready audience for his works in Yiddish. When Singer talked about writers who had influenced him, he mentioned (amongst others) Knut Hamsun, Thomas Mann, Anton Chekhov and Guy de Maupassant. Several highly regarded artists have illustrated Singer's work, including Maurice Sendak and Irene Lieblich. Singer's output was high with at least eighteen novels, fourteen children's books, numerous essays, articles and memoirs. He won the Nobel Prize for Literature in 1978 and there are streets named in his honour in New York and in Surfside, Florida (where Singer died after suffering a series of strokes). There is also a city square in Lublin, Poland named in his honour. Today, we probably remember Singer best for his short stories and he was certainly a brilliant practitioner of that form. 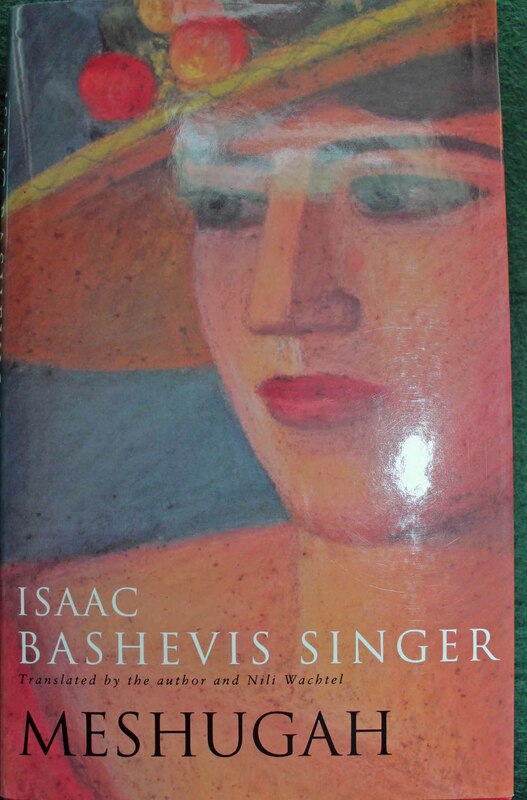 We currently have three of Isaac Bashevis Singer's books in stock - all UK (English language) first editions:- 'Meshugah', 'Scum' and 'The Death of Methuselah'. Why not have a browse on our website.